HOT DEALS ON WINTER INVENTORY! Priced well below reproduction--instant equity! Chapel Hill is excited to show you the Emery Reverse & their new soft mid century front! See thru Fireplace house backs east to neighboring tree line! Walk-up/walk-out lower level complete with a wet bar in the Rec Room is perfect for entertaining friends. Modern touches throughout with brushed nickel plumbing fixtures, waterfall edge Kitchen Island & stained kitchen cabinets. Master Suite Spa-like Bath features free standing tub. 16813 Bradshaw Street (MLS #2107080) is a traditional single family home located in Overland Park, KS. 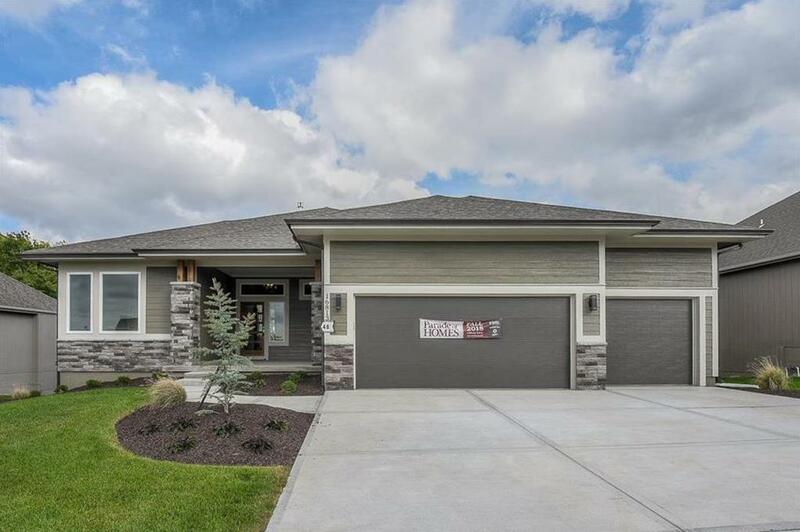 This single family home is 2,903 sqft with 4 bedrooms and 3 baths. This property was listed on 05/15/2018 and has been priced for sale at $490,000. Nearby zip codes are 66061, 66062, 66085, 66213 and 66223. This property neighbors other cities such as Gardner, Olathe and Riverside. Listing Last updated 04/01/2019 12:45 PM CDT . Some properties which appear for sale on this web site may subsequently have sold or may no longer be available. Walk Score provided by Walk Score. Mapping data provided by Google and Bing.